Home » Gadgets & Apps » Do you use custom keyboard apps on your phone? Are they really useful? Maybe…. 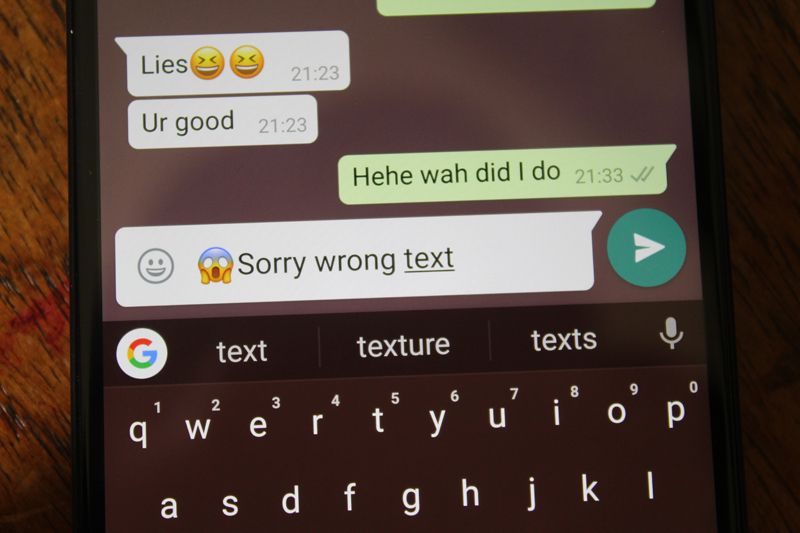 Do you use custom keyboard apps on your phone? Are they really useful? Maybe…. Since the dawn of smartphones, some people have always wanted to be able to customize the look and feel of their phone. The customization doesn’t just end at wallpapers, screen savers or launchers but can go as far as the keyboard itself. Honestly, if you’re just going to be typing words in English and other popular languages then your default keyboard will work just fine. But if you want extra functionality and convenience then you’ll soon realize that your phone’s default keyboard often misses the bar. Yeah, that sounds like a fantastic claim but what exactly do keyboard apps provide. Most of the default keyboard apps have the feature of adding a personal dictionary. A personal dictionary allows you to add custom words that may not be known by the keyboard e.g colloquial language (slang). That’s great but keyboard apps take it a step further. You’re able to create shortcuts within your personal dictionary. For example, if you frequently type your email address or phone number when talking to people, you could create a shortcut which allows you to enter this information by just pressing the sequence of characters for the shortcut. So you could have ‘eee’ as the shortcut for your email so each time you type ‘eee’ from the keyboard app, it will enter the email address for you. This is good especially if you have a long email address, you can just type it by entering 3 characters. Yes, default keyboards can remember email address but you usually have to type 4 or more characters before it predicts to your email. Speaking of predictions, they are just far more superior in terms of accuracy on keyboard apps than default keyboard on your phone. The main problem with personal dictionaries on your phone’s default keyboard is that they stay right there when you move to a new phone. That means you have to start from scratch in order to regain all those custom words and shortcuts that you would have created in your personal dictionary. Fortunately, some keyboard apps like Gboard allow you to move your data to any phone that you go once the app has been reinstalled. This is made possible because the data is saved on your google account and you will definitely sign into it when you want to get apps from the Google Play Store. Once you sign in with the account and download the app, it will sync the data stored onto the account and presto you have your personal dictionary back. Some other phones like the LG have such a feature where an LG account that you create will store this data. The problem is that once you move to a different type of phone then you can’t access the data from that phone. You might face the same problem if you were moving from an Android phone to an iPhone but as long as you use the same google account as your main account for App Store on the iPhone then that problem goes away. So many times, some of us have been in situations where we read an interesting article and wanted to share the link with a friend. To achieve that without a custom keyboard app, you have to exit the chat app, launch the browser and search for what you want. After you’ve found the article, you open it and copy the link. Then you have to go back to your chat app and paste the link then send it to your friend. Pheeewww! Finally, you’re done after so many steps… All those several steps can be reduced to just 3 at most and the best part is you don’t even have to leave the chat app that you’re in. For example on Gboard, you can click the Google icon on the keyboard and do a quick search of what you’re looking for. After the search, you’ll be presented by results and when you click on the one you want, it will automatically paste the link and a brief description onto your typing window. After that, you can continue typing your message or just hit send and you’re done. Of all the keyboard apps, why Gboard? You’ve probably noticed that for the examples, I kept referring back to Gboard and how it works from that specific keyboard. That’s because out of the keyboard apps that I’ve been recommended to by people, Gboard has been on the top. Now that doesn’t mean that it is the best keyboard app out there but it is a pretty good one as it does all the above plus more and it even supports 119 languages including Shona. In fact, if you know a better keyboard app than Gboard, do let us know. I’d be more than happy to try it out. Let us know why you use it also. If you use the default one, it’d be interesting to know why also.